There is a common theme to appreciating art. You must SEE art. Whatever the medium, or however, it is presented, we each gravitate to art that “moves us”, inspires us, or calls out to us. 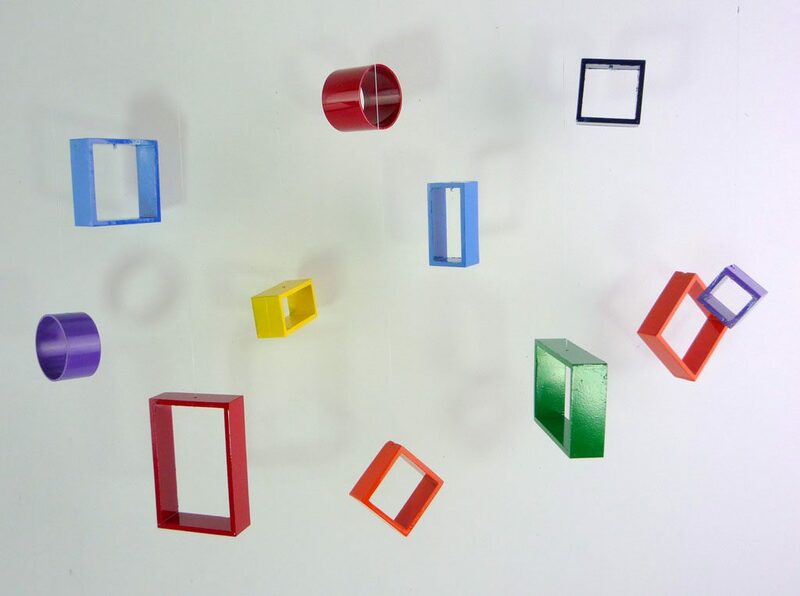 I have always been intrigued by art that “moves or appears to move” as you view it from different angles. 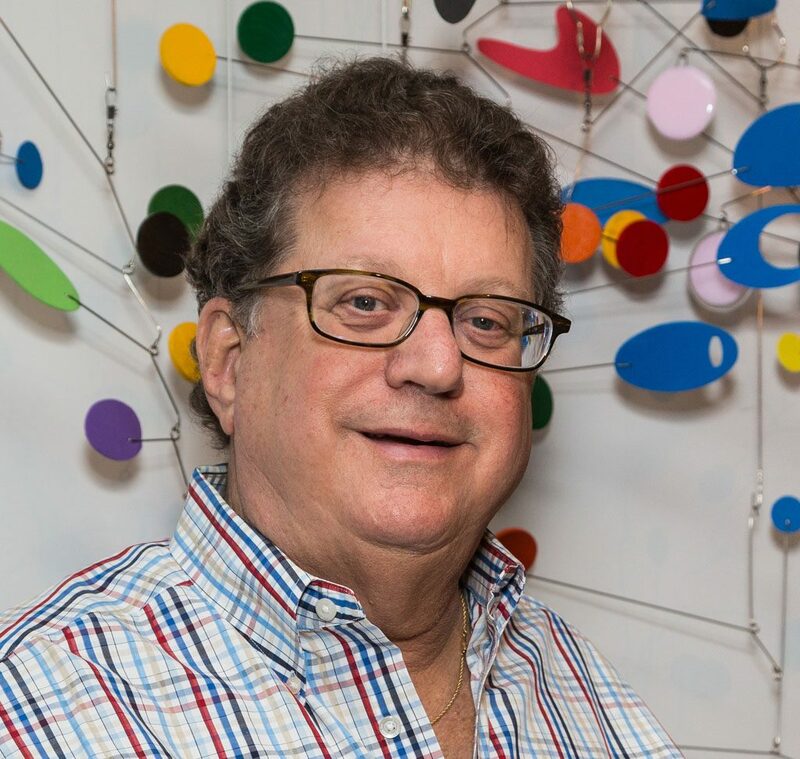 Almost every kid and adult knows of the work of Alexander Calder. 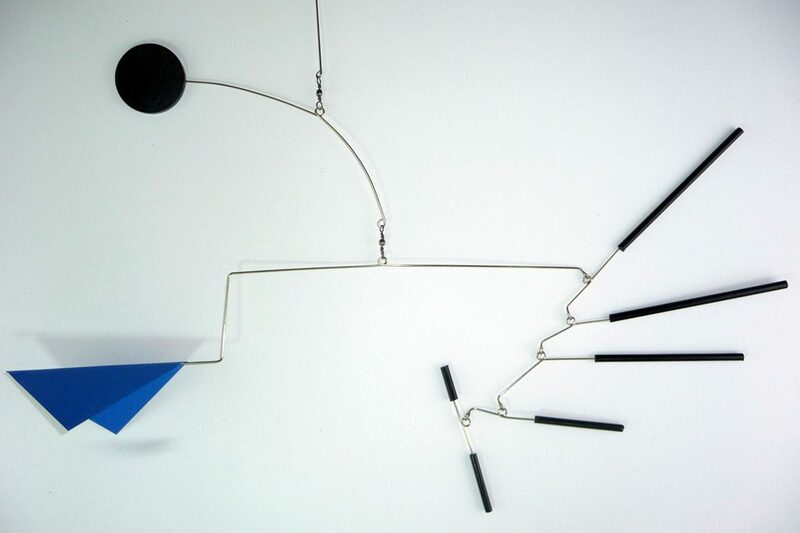 Calder popularized kinetic art with his bold and colorful mobiles starting in the 1930’s. 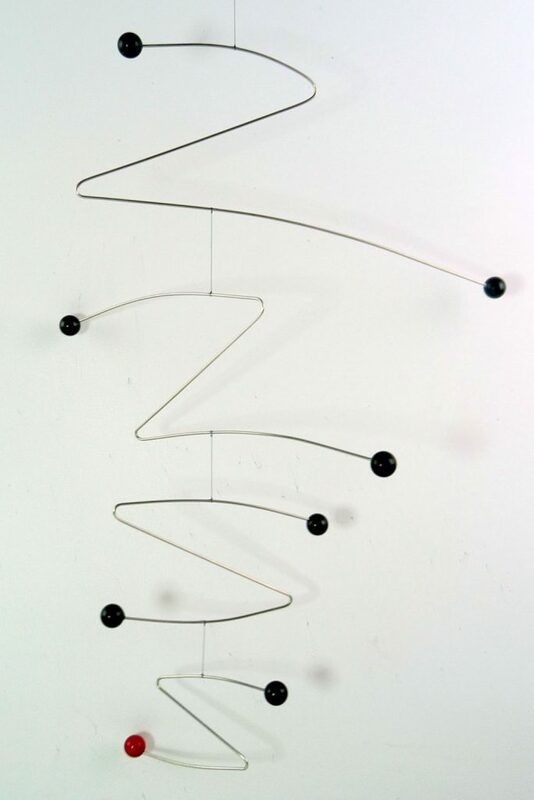 His “suspended moving structures” came to be known as “mobiles”. 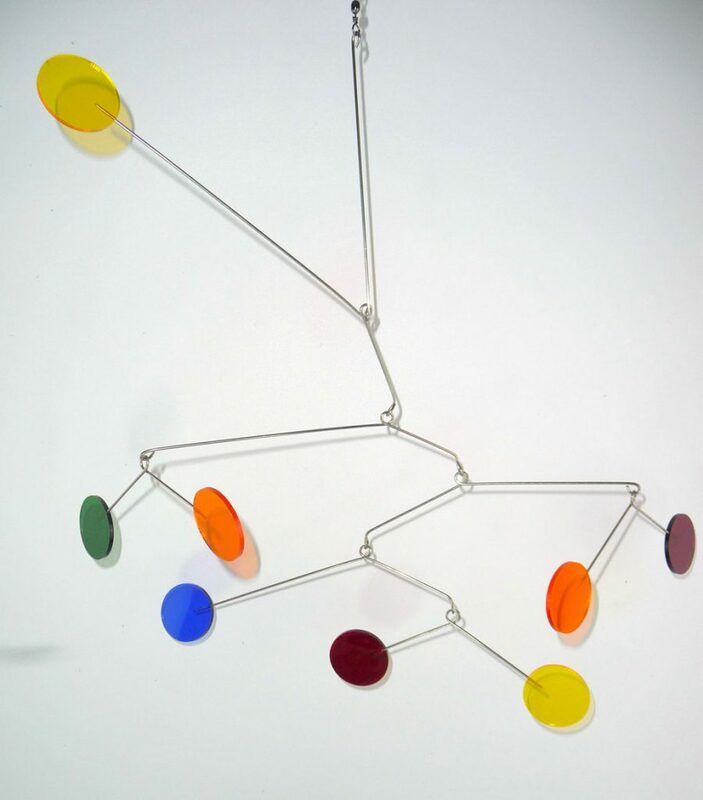 The combination of the bold colors and continuous movement makes you want to continue to watch. 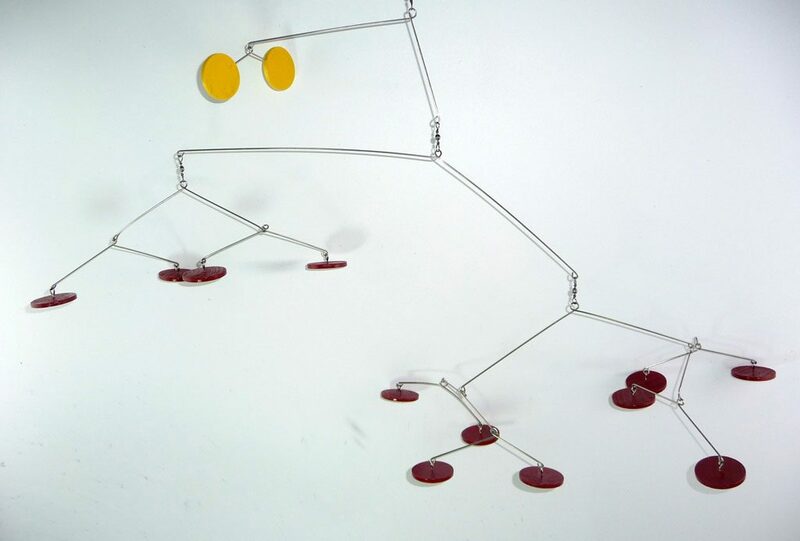 Every aspect of kinetic mobile making is about balance. 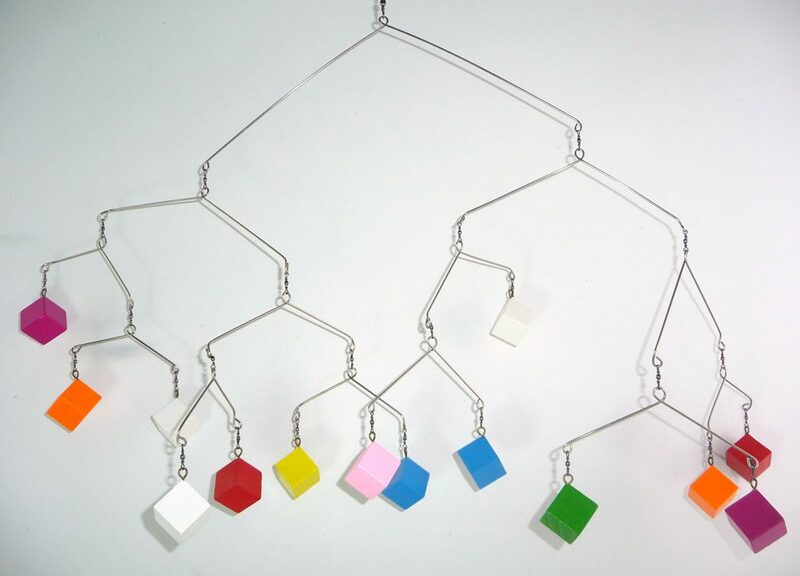 Each section of a mobile has to be meticulously balanced or it just doesn’t move correctly and it doesn’t appear in balance. 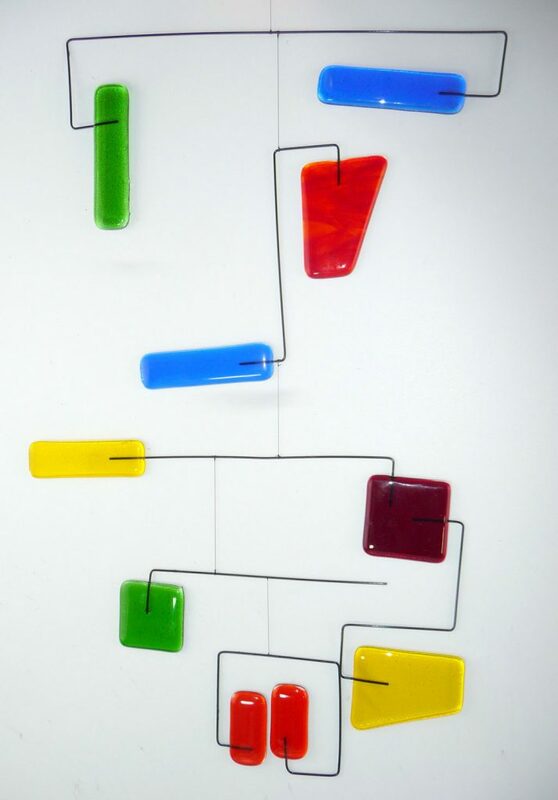 The beauty of a mobile lies in their simple design and their use of vibrant colors. I continue to tinker with different designs, different materials, and different techniques to achieve that sleek serenade of movement. When it finally comes together, it gives me a great sense of accomplishment. 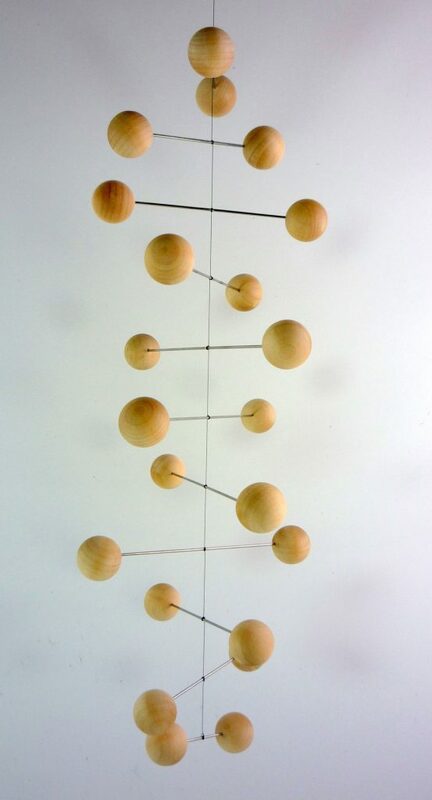 Mobiles look easy to make, but there is a lot of frustration as each piece must be balanced from the lowest point going upward. 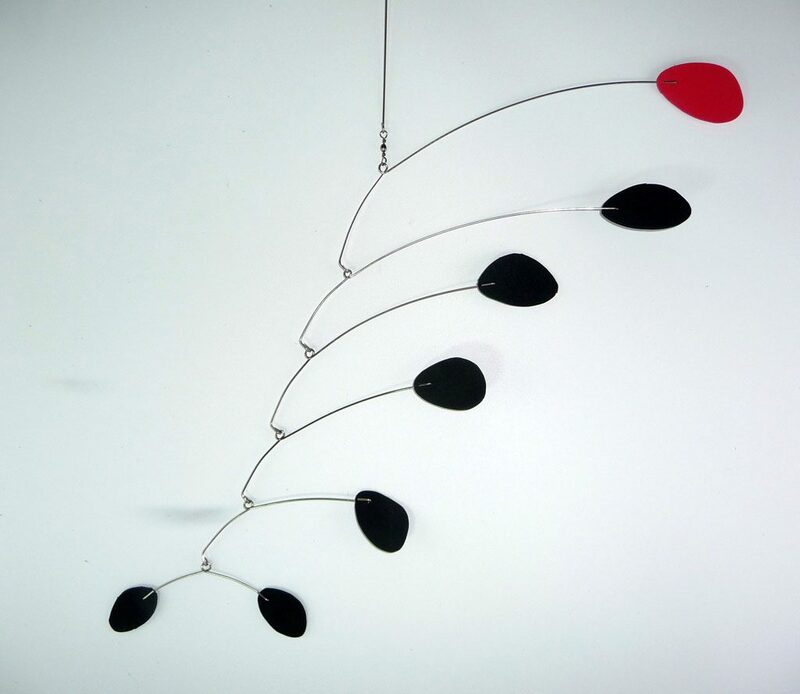 Before I ever tried making my first mobile, Judy and I have been fortunate to see many Calder exhibits and permanent exhibits. We have gone out of our way on several vacations to visit some of his work around the world. The largest collection of Alexander Calder’s outdoor installations is located on the grounds at the Louisiana Museum in Humlebaek, Denmark. Judy and I spent a wonderful day at the museum when our cruise to the Baltic ended in Copenhagen in 2011. 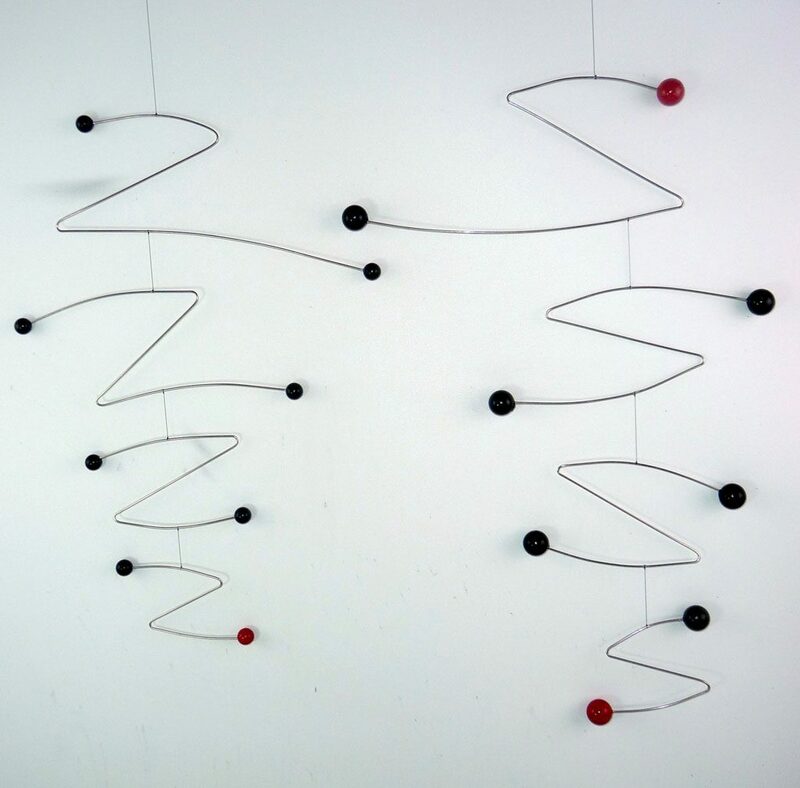 For anyone traveling to London soon, there is a great display of Calder’s work currently showing at the Tate Modern Museum through April 2016. 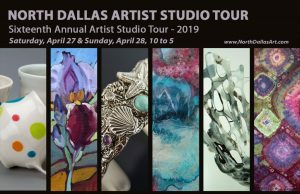 My wife Judy and I have collaborated on a number of projects which combine elements of glass and metal into more colorful 3 dimensional artwork pieces. Together we have experimented combining our respective fields of interest to create some unique pieces of art.